View from AMC’s Noble View Outdoor Center in Russell, Mass. 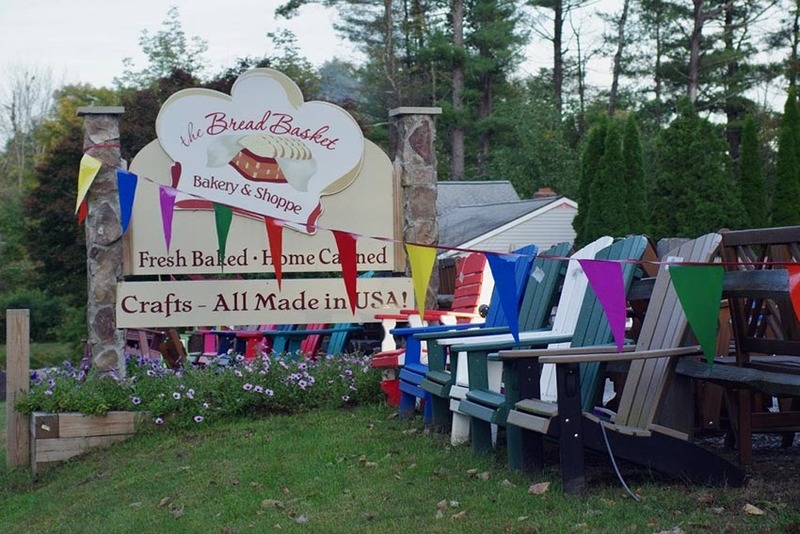 The Bread Basket Bakery and Shoppe is the place to eat in Russell. Russell, Massachusetts is a tiny town at the foot of the Berkshire Hills. The Appalachian Trail crosses through Russell on its way to Mount Khatadin in northern Maine. A cozy and rustic place to stay is the AMC’s Noble View Outdoor Center, where there are cabins and camping, as well as educational programs and activities. It’s a perfect place to explore the AT! 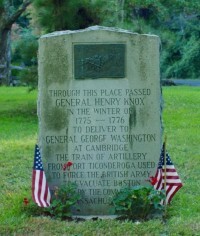 General Henry Knox passed through the area during the winter of 1775-76. A plaque commemorates his visit. Six years later in 1782 settlers settled the area and in 1792 Russell was incorporated. Today the Westfield River and Jacob Ladder Trail Scenic Byway pass through the town that contains a population of 1775 people within 17.8 square miles seeming proud of their ruins. There are stone walls and cellar foundations from abandoned farms and eerie graffitied mill buildings abandoned from the industrial days. The fire station and the Library share a building and there are no schools. 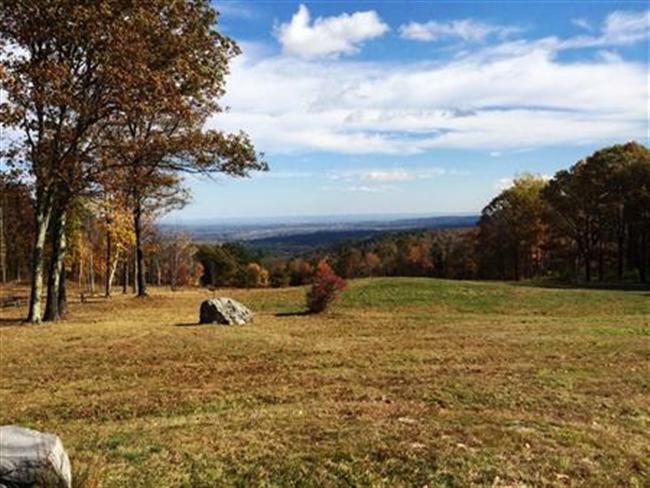 Noble View Outdoor Center has lodging, picnic areas, hiking trails, waterfalls and of course a spectacular view. The Cream Of The Crop Farm and The Bread Basket are one of a kind, fun shops for the hungry explorer. The Bread Basket in Russell is one of the best places around to get fresh sandwiches, making it a great lunch spot when you’re in the area. For dinner, The Russell Inn offers traditional, homemade cooking. 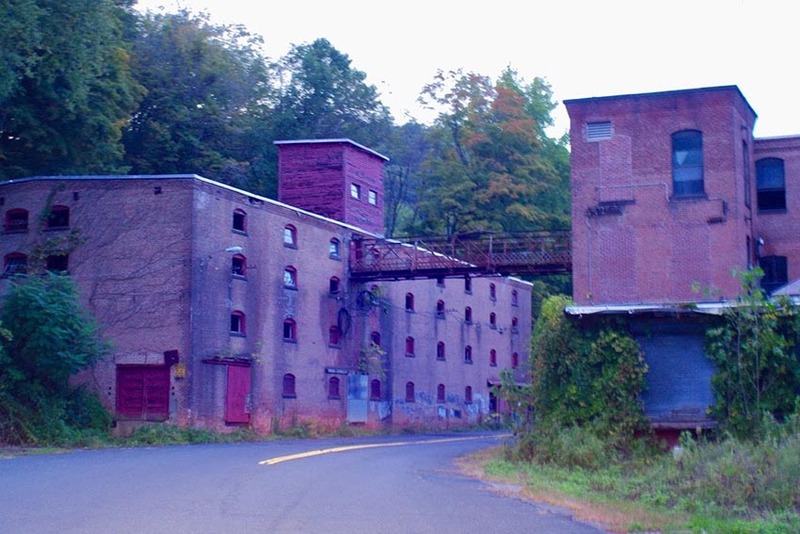 Abandoned mill buildings in Russell, Mass. If hiking the Massachusetts wilderness is not an all-day experience for you, be sure to check out Cream of the Crop Farm, where they have a wonderful selection of dairy, meat and produce. A terrific place to stop if you’re renting a cabin in the area and want to make a fabulous locally sourced dinner. Countryside Woodcraft makes traditional shaker style furniture, made in Russell.